Ed Wood's Plan 9 From Outer Space comes with such a weight of nostalgia / infamy / reputation and anti-hype to really be above objective criticism. There's no doubting it's a bad film; a truly awful cinematic experience that deservedly languished in obscurity for two decades before being thrown once more into the limelight in 1980 when Michael Medved and Harry Medved happened to champion it as the worse film ever made. Overnight its mediocrity became something to celebrate and it became more than just a film, more than the sum of its parts; and possibly forever un-reviewable in any normative way. As the subject of in-depth cinematic analysis, and even a fantastic film directed by Tim Burton, I can only repeat what a thousand other reviewers have said. The acting, the dialogue, the special effects, the story, the way in which it's all so haphazardly thrown together in the most amateurish and insulting to the viewer manner it's easily, as a film, as bad as made out. Yet as an entertaining spectacle to watch with friends these very qualities make it highly watch-able and dare I say it, delightfully light and somewhat self-satirical. Whether consciously, subconsciously or most likely neither, Ed Wood has somehow fashioned a parody of all things 1950s sci-fi, Mccarthyism and b-movie and it's genuinely hard to believe he and all those involved didn't know precisely what they were doing and weren't in on the joke. 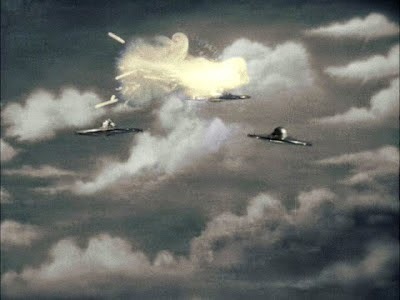 Some very human looking aliens who travel the cosmos in awkward looking spinning silver saucers have focused their attention on us Earth folk believing they need to interfere in our affairs before we harness the power of sunlight and create doomsday weaponry that could destroy the entire universe. 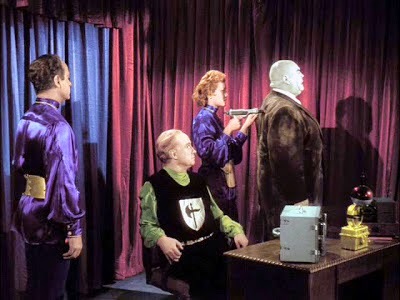 Having being spurned by Earth authorities (I'm guessing 8 times) their Ruler (John Breckinridge) has agreed to Plan 9; a last ditch and somewhat slightly more aggressive approach that entails resurrecting the Earth's dead and having them march on the worlds capitals. There are three zombies. The first, in the credits as Vampire Girl Vampira, (Maila Nurmi) is a long nailed Elvira-esque goth. The second, her grieving, much older husband who passed away a day later, is both the same repeated stock footage of Bela Legosi (taken from some filming he'd done three years earlier on a different project) or Tom Mason, who was uncredited and spends the entire film with a black cape draped across his face. 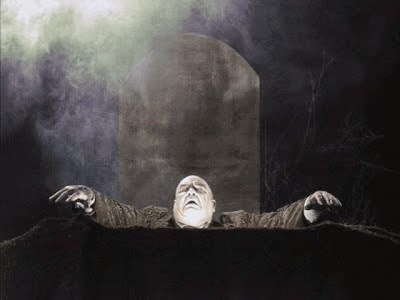 The third, and most interesting where we're concerned is the late Inspector Dan Clay (Tor Johnson), a towering brute of a man who stomps and staggers around, arms out stretched, eyes vacant with all the hallmarks of the voodoo zombies of stage and screen from the previous forty years, yet a full five before Richard Matheson removed religion from the pot. Before I give Ed Wood too much credit in the zombie story though, in truth it's perhaps more Frankenstein, than instinctual, soul-depleted Romero gut munchers. Still, credit where credit is due; there is a whack to the head at one point and while they are under ray gun control (which is never really explained) there is a moment the gun fails and the zombie, just for a moment does act a bit dangerously out of control. The epitome of bad b-movie film making. A paranoid rambling incoherent shambles of a film it's watchable precisely because one is always fascinated by the car-crash. As a film it's utter garbage, a 1/10, yet as an experience it's highly agreeable and worthy of 7 or 8/10. Part of the zombie story? Undoubtedly and perhaps not given as much credit as it's due. Final thoughts? 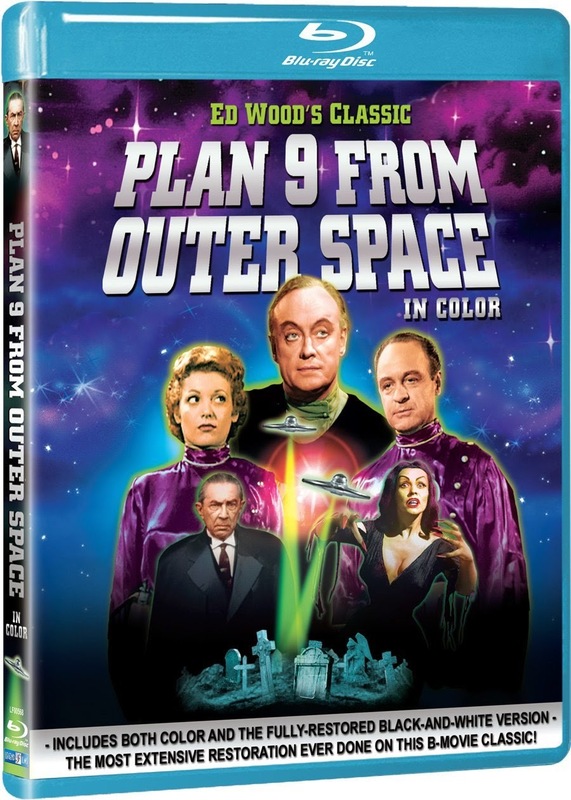 Bafflingly brilliant, captivatingly bonkers and cinematically special, Plan 9 From Outer Space is a bad film but perhaps not the worst I've reviewed. Put up against such drivel as KFZ or many of the Asylum's attempts it's at least earnest, honest and most importantly entertaining. Ed Wood was hack but he was keen and invested in what he was doing, and people are still watching his films some sixty years on which I'll wager we won't be doing in their case. "Future events such as these will affect you in the future", indeed; 8/10. I actually watched a restored HD and colourised version of this film which I'm not sure was necessarily the best way to fully immerse myself. Still, it was clean, crisp and didn't look as dated as it is. I'll note, the Blu-ray is region free too.